Are you a big fan of Space Invaders, the very popular arcade video game back then? If you do miss that classic game and want to savor one more time, then Galaxy Invaders is really for you. Guess what? Tons of aliens from other planets are planning an incredibly terrible plan – causing an invasion on Earth. It’s time to save your home, guys! Galaxy Invaders is a shooting action platformer of Art Studio Market, a website of developing games in Russia. This is one of the latest games promoting on the main page of Art Studio Market, which was just released since March 2018. The game creator as well as developer used Flash technology for Galaxy Invaders. In this game, you will get involved in a series of epic battles in order to defend the Earth from the attack of the alien units. There are many of them but you are all alone – what you have to do? Players will be given a laser cannon that helps you shoot all kinds of invaders trying to approach your base. A strategic plan will be necessary in this case. 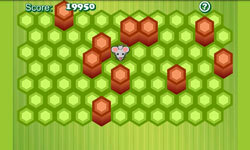 Shooting your enemies and avoiding their attack are your two ultimate goals here. Try to earn as many points as possible! 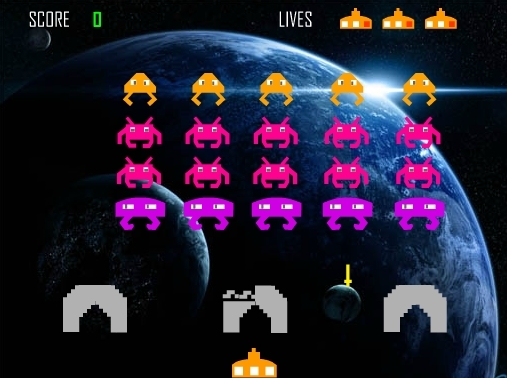 Galaxy Invaders is an amazing space-themed battle shooting game that you can play here on Coolmath4KidsGame.com for absolutely free. If you have an interest in Galaxy Invaders, you should also take a look at other battle games, such as Air War 3D Invasion and Defense is Duty.